Do you ever have a really healthy lunch or dinner and feel really great…but empty!? Like you need a little treat but you don’t want to spoilt the goodness you’ve just had? So do we! So we’ve whipped together this little glass of positivity. 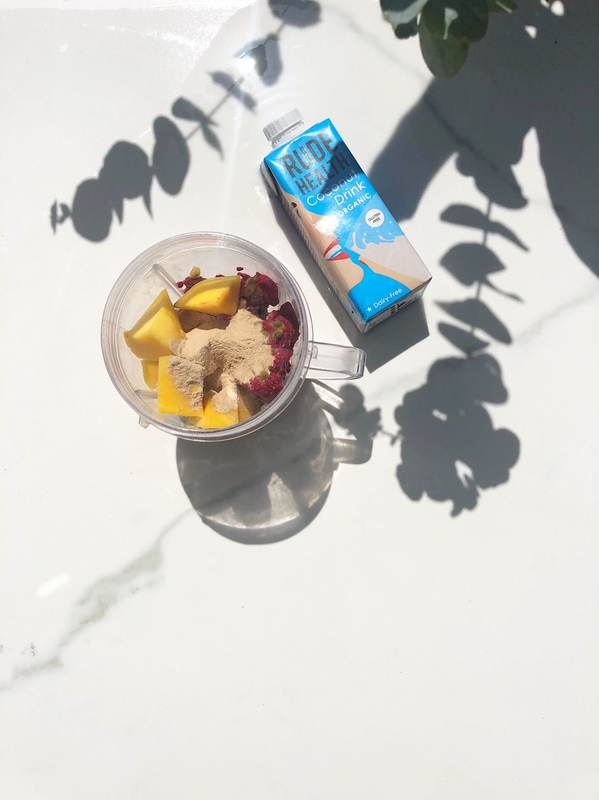 Our glass is always half full… of berries, raspberries and camu camu, ashwagandha and medicinal mushrooms! It’s so super easy and quick and you’ll feel so indulgent after it you can wallow in your guilt free happiness. Take a good handful of frozen raspberries, mix with fresh or frozen mango (we used fresh but only because we didn’t have frozen ready!) a whole passion fruit, seeds and all. A teaspoon or half a coconut wood scoop of NAKED 00 powder and add a little coconut milk, depending on how thick you want your smoothie. Blend together, we just used a Nutribullet until super smooth. 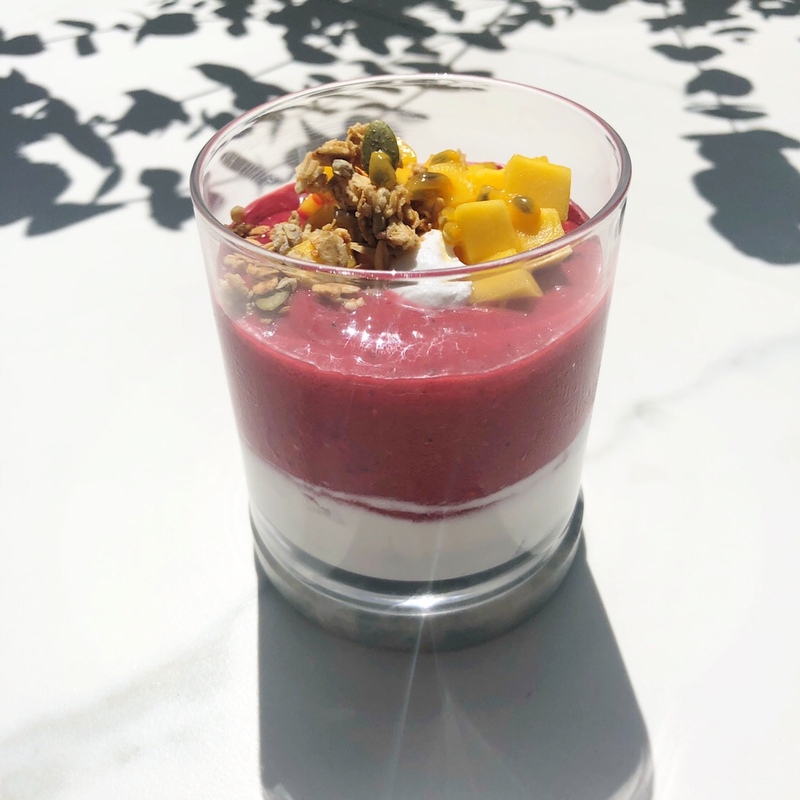 Layer the bottom of your glass with coconut yoghurt, we love Coyo as it’s so thick and creamy, add the smoothie mix, sprinkle with granola, we’ve used Deliciously Ella’s for ease. Chop fresh mango into tiny cubes and drizzle some passion fruit juice over the top. 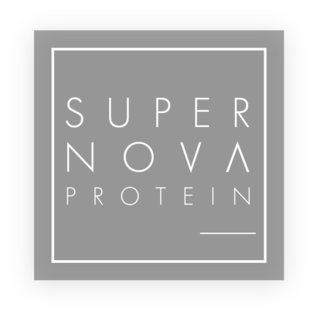 Supernova isn’t just a protein powder, it’s also contains the camu camu berry which is one of the worlds most abundant sources of vitamin C-in fact one single teaspoon has 1180% of your recommended daily intake! Dr Klenner cured chicken pox, measles, mumps, tetanus and polio with high does of vitamin C! Plus ashwagandha, a research from the Asha Hospital in Hyderbad found, in a study of 64 people with chronic stress, that ashwagandha supplementation for two months decreased stress by 44% and decreased depression and/or anxiety by 72%. And you just thought you were making a berry smoothie! !